Boom Amini Ecolodge is located in Soheili Village which is the most convenient place to reach major natural attractions in Qeshm Island. Decoration of this place is very beautiful. This place offers local traditional food, Live music and transfer to atractions. The staff of this place are super friendly and care about their guests. Boom Amini ecolodge offers private rooms and dorms. Facilities: Free Wifi, Transfer from airport and to natural attractions, Air-conditioning system, Traditional Food. Benefits: Convenient location, Super friendly and Helpful Staff, Traditional Food. For booking please contact via Phone. Facilities: Parking, Wifi, Bicycles for rent which help you to cycle across the island, Air-conditioning system, Jet Ski, Shuttle Banana, Diving equipment, Traditional food. Benefits: convenient location, Near Stars valley, Naz islands and much more. 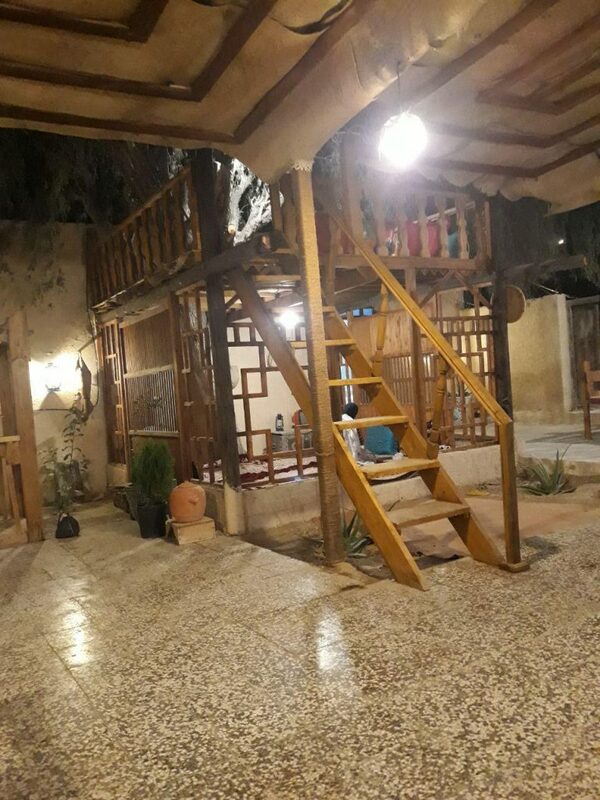 This guest house in Qeshm consists of 9 rooms. If you are looking for a local experience, a local way of life, simplicity, brotherhood, kindness, group work, discover people, places, old caves, islands where with turquoise water, sports, water skiing, covering your body with mud…and…and…and, YOU HAVE TO EXPERIENCE THIS with the man of the place Hassan and his family! Facilities: Parking, Wifi, Private bathroom, Air-conditioning system, Jet Ski, Shuttle Banana, Diving equipment, Traditional food. Benefits: convenient location, Near Stars valley, Khorbas cave, and much more.